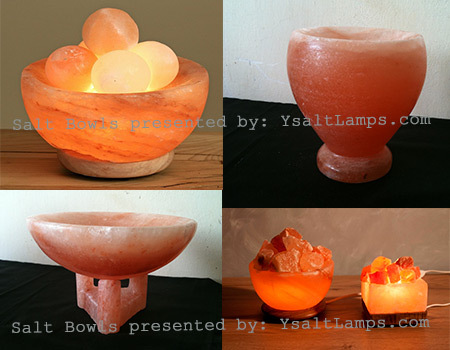 Best Color Salt Lamps - Exporting Worldwide - YsaltLamps Get Quotes! Above all, choosing best color salt lamps is a major issue. We don’t just export the lamps, but care our importers, as well. Therefore, you must understand this 100% natural colors’ factor. The salt colors run in veins deep inside the foothills of the Himalayan Salt Mines in Pakistan. Mostly, the vein colors are white, pink, orange, and red. Moreover, the opacity, or in other words the dimness and brightness of these colors, is found in unlimited variants. This natural color variation plays an important role in choosing the best color salt lamps from Pakistan. Therefore, the color of a Himalayan Salt Crystal Lamp depends on what vein it was mined from. Since these are natural salt lamps, the exact required or demanding salt color cannot be guaranteed, but our lamps tend to be of an orange hue. Lower the Brightness Better the Salt Lamp Colors! Since the light from the bulb needs to penetrate a dense piece of mineral- rich salt crystal, you should expect the lamp to provide a muted glow of light. If it’s fairly small, but lights up the whole room or is very bright, it’s considered a low quality salt lamp. You want to look for a light’s glow that is soothing and subdued, not something you could read by. In other words, you are not looking for a reading light when using a salt lamp! Amazingly, exporting & importing the best color salt lamps for resale, both wholesale salt lamps as well as retail, is exciting and profitable. However, you should enter into the salt lamp business by first considering the cost, market trends, growing popularity, and of course your benefits. Becoming a direct salt lamp importer is easier than you might think. Thus, only the proper help, guidance and off course the passion for salt lamps is the key element. Light transmission capacity varies from lamp to lamp. More transparent salt lamps allow more light to pass through them. Less transparent lamps allow less to pass through them. Translucent ones allow very less amount of light to pass through them. 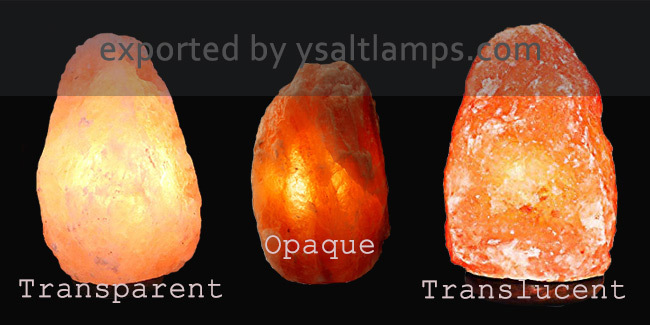 Opaque (near to opaque) salt lamps allow a very less amount of light to pass through them. Although all of the Himalayan salt lamps emit negative ions but the beautiful soothing glow comes from the one that is less translucent. 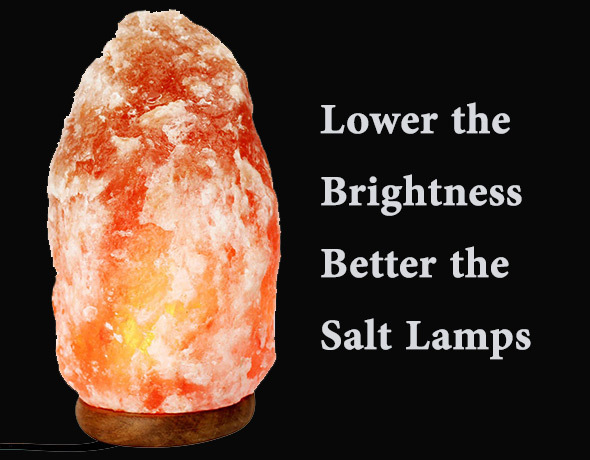 In other words, choose the salt lamps that allow less (not very less) amount of light to pass through them. Before moving further, we would like to put few words on ourselves. Since we are among the best names of the salt lamp exporters in Pakistan, we are the one who can provide plenty of details on salt lamps. In other words, we are a comprehensive database of salt lamps’ information! So, you can read this info and contact us for any type of inquiry or order. Here in this section we are going to talk about the color’s factor while choosing the best salt lamp. In addition to color being important for the shade of the salt lamp, the color also reflects on your mood. So, we will put the characteristics of each of the color available in salt lamps, as well as the meaning associated with that color! First of all, please note that there are five major colors of the salt lamps. 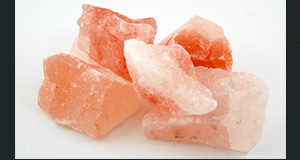 Pink salt lamps are actually pink in color with tinges of pink, orange, and red. They fall between the pink, orange, and red color veins. And that color mixture makes them less bright, the most favorite salt lamps among the individuals. The dark pink color salt lamps emit the warmest glow. Typically, they represent the perfect balance in a lamp. Our pink salt lamps tend to be orange-reddish, the perfect hue. Pink color is associated with sweet, nice, cute, romantic, charming, feminine, tenderness, friendship, affection, harmony, and inner peace. Summarizing the all, pink color stimulates emotion, love, and sense of partnership! You may read more on pink color meanings. Orange salt lamps usually fall between the white, pink, and orange color veins. They are rarely the favorite salt lamps among individuals. Naturally, the orange salt lamps emit the warm glow. They are too bright and less dark so they allow more light to pass through them. Orange color is associated with joy and creativity. It promotes a sense of general wellness and emotional energy that should be shared, such as compassion, passion, and warmth. Orange color stimulates the appetite. It is a common color often associated with Vitamin C and a healthy diet. It is used in restaurants to encourage the feeling of hunger and contentment. Interested in reading more? Please read here further what meanings are associated with the orange color? Red salt lamps are mostly in meat color with dark pink and dark red veins. They are made in red (meat color) salt crystals mined in the Kalabagh salt mines in the District of Kalabagh, Punjab. In some pieces, the red salt lamps can be attractive, but if they are too dark, they block more light of the bulb which reduces their natural attractiveness. However, some people prefer darker salt lamps. Furthermore, the dark red color is due to higher iron content in the salt crystals. Although the Red Color is mainly associated with blood and fire, but it reflects on the other two classes as well. Such as heat, lust, sexuality, and sensitivity. The other class of red color contains strength, leadership, courage, anger, danger, and action. More meanings associated with the red color can be seen here. Dark gray salt lamps are not actually black, but more of a reddish-gray vein. They are much closer to Black salt, also known as ‘Kala Namak’ in Pakistan. This dark gray salt is a complex mineral compound with a very strong Sulphur content and taste. To eat; the Sulphur flavor hits quickly but then it dissipates to leave a rich mineral taste. These dark grey salt lamps are rare and so little expensive than pink or white salt lamps. The Gray is a cool, neutral, and balanced color. The color gray is typically associated with meanings of formal, conservative, and sophisticated. It lacks the negativity of the black color. Light grays can carry some of the attributes of the color white. Please read more meanings associated with the gray color here. The White salt lamps are rare. Some people like white lamps because of their rareness and also because they allow maximum light to pass through them. Others find them too bright and feel that they lack the milder ambience of the more common darker shades of Pink Himalayan salt lamps. Most of the people like these white salt lamps because they can put the bulb of their own color choice, or what mood they are in! As shown in the image. White Himalayan crystal salt lamps have a low iron content, are not as common pink salt lamps, and so generally may be priced higher. White color is mostly associated with positivity, purity, innocence, safety, protection, coolness, and simplicity. To the human eye, white is a bright and brilliant color that can cause headaches. Interested to read more meanings associated with white color? Since 2010, YsaltLamps has brought a higher standard of style and attraction to home designers around the world. Each salt lamp, whether natural, crafted, basket, USB, is an individual work of art. We are exporting the best salt lamps from Pakistan. No overstating, our salt lamps are a unique resource of soothing glow with quality, detail, and craftsmanship. On the top, our mission is to bring a wide array of best and unique salt lamps in inspirational colors of lighting from Pakistan into your business, office, or home. Our prices and quality maintain our standards. 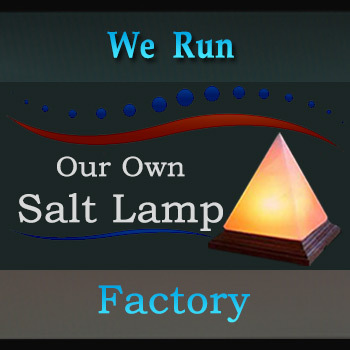 WE ARE COMMITTED TO THE DESIGN, MANUFACTURE AND EXPORT OF BEST SALT LAMPS WORLDWIDE!!! Choosing the best salt lamps is actually the game of the end user. But, you as a reseller or a distributor, need to keep a reasonable number of electrical cords and light bulbs in stock all the time. People can order you for an additional cord or light bulb of their choice. That’s why we as an exporter of salt lamps in Pakistan also supply these electrical cords and light bulbs as an additional stock for you. 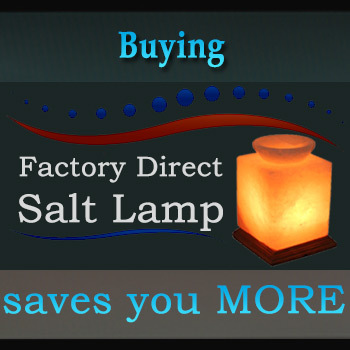 As a reseller or distributor, you need to ensure assembling of the salt lamp’s parts with the exporter of salt lamps. Also, the packaging of salt lamps plays a vital role in getting the order in a safe way. We, as a manufacturer, supplier, and an exporter of salt lamps, do the best possible packaging. Custom packaging is also offered as per your needs and demands! Always choose the manufacturer and exporter of salt lamps. Traders of salt lamps do not make goods, store them or own them. They act as intermediaries between the manufacturers, like us, and the importers, like you who want to buy our salt lamps. You would definitely prefer to source your best salt lamps directly from our factory and the reason for this is to lower the price of salt lamps. If you buy the salt lamps through a trader or a trading company they charge you the commissions that ultimately results in increasing the prices that you pay. So, always prefer to contact us a manufacturer and exporter of salt lamps in Pakistan. Let’s conclude the subject. Always choose the salt lamp that allows less light to pass through them. Remember the thumb rule, lower the brightness better the salt lamps! And, order your salt lamps with a manufacturer, not a trader.